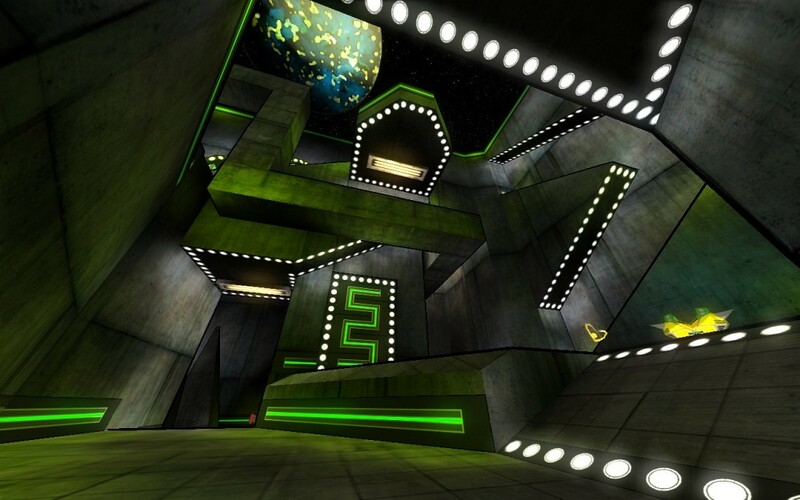 This was a former official Warsow map. 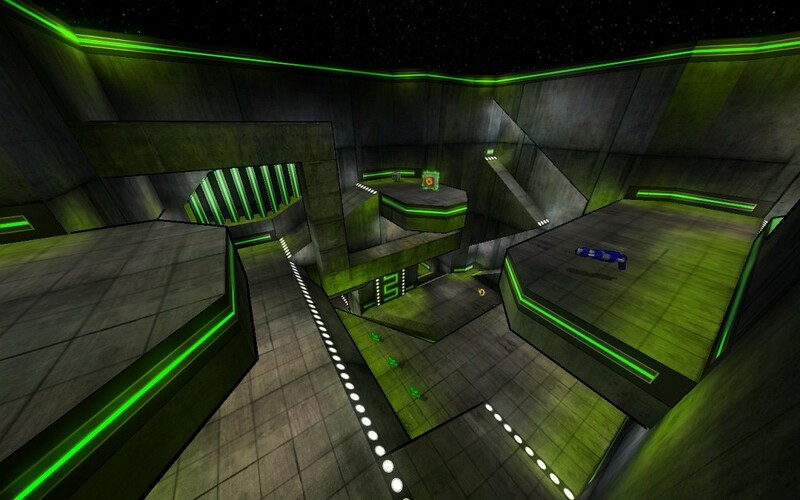 Its parent was the first map shipped with Warsow. Blemish built the first layout, which was later modified by ekse and then completely rebuilt from scratch and graphically designed by me. It is using a texture set made by cha0s and a handful of textures made by myself. Looks are simple, yet unique due to the use of subtile Cel Shading and the skybox known from Unbalanced. The arena contains two atriums with different levels intersecting, which provide great vertical fights. Red Armor and Megahealth are both located on the bottom floor on opposing ends of the map. 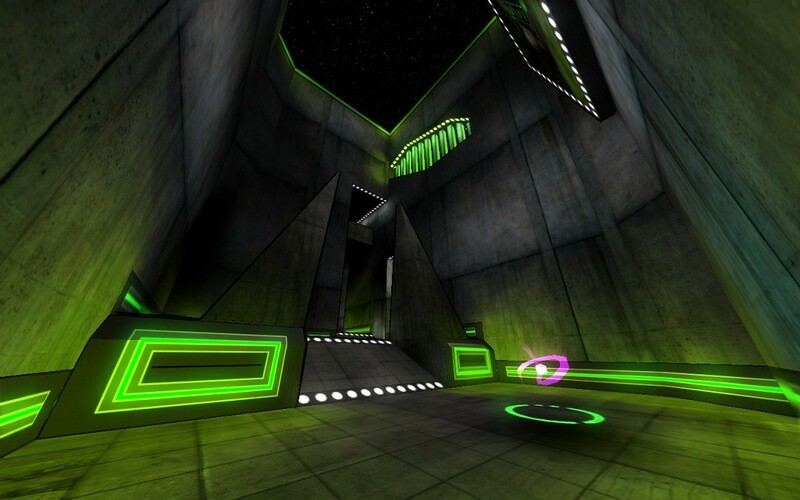 Connectivity is improved by a number of teleporters. In 2007 I dropped out of the Warsow team and allowed my maps to be kept in the game unchanged. As the Warsow team decided not to keep maps unable to touch, they have all been removed. For making them available again for public I re-released them as custom maps.